The physical signs of aging can be prevented and partially reversed through several modalities. Most important is sun protection. Adopting a year-round regimen of sun protection is the first line of defense against photo aging. This includes wearing a broad spectrum sunblock with a sun protection factor (SPF) of 30 or higher (don’t forget to reapply! ), avoiding the sun when UV irradiation is at its strongest (10 am through 4 pm here on the east coast), and sun protective clothing. The only medical therapy proven to reduce the appearance of photo aged skin is topical retinoids. A vitamin A derivative, retinoids help reduce fine lines and wrinkles by increasing the production of collagen. Additionally, they can improve skin color through increasing production of new vessels and fade age spots by sloughing off the discolored skin and decreasing production of melanin. It is never too early to start a retinoid! 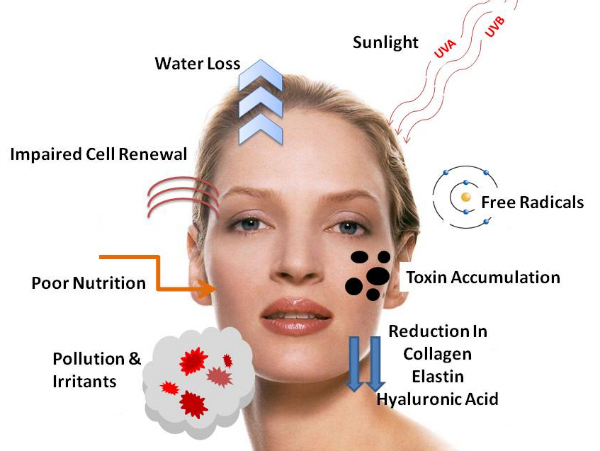 Contact NP Luxe Esthetics and let us help you find the best comprehensive anti aging regimen suited for your lifestyle. Anti-aging Part 2 - Botox, baby! We are a team of professionally licensed and trained Nurse Practitioners offering minimally invasive cosmetic procedures in small group or private sessions. We love feedback from our clients! Send us a note or give us a call. We look forward to hearing from you!